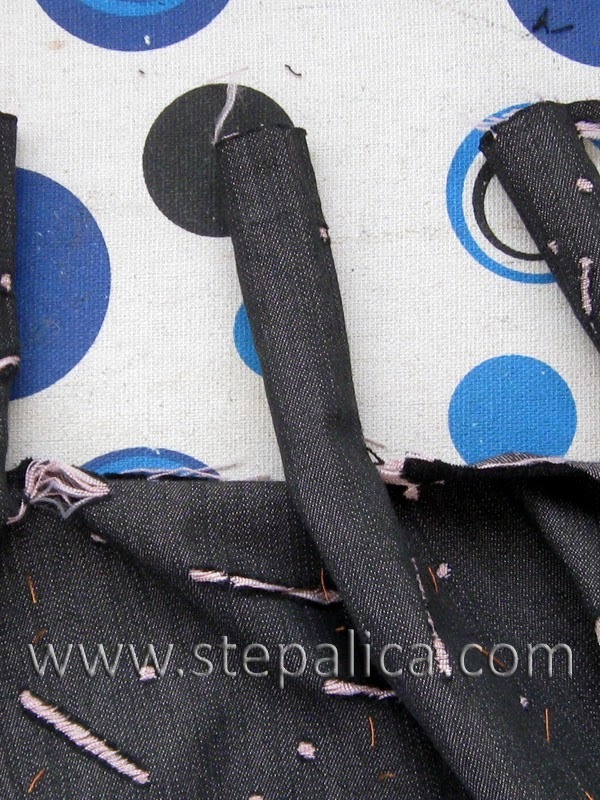 It's time to start sewing, and we should begin by making the belt loops. If you're making the view C, you can skip this step. 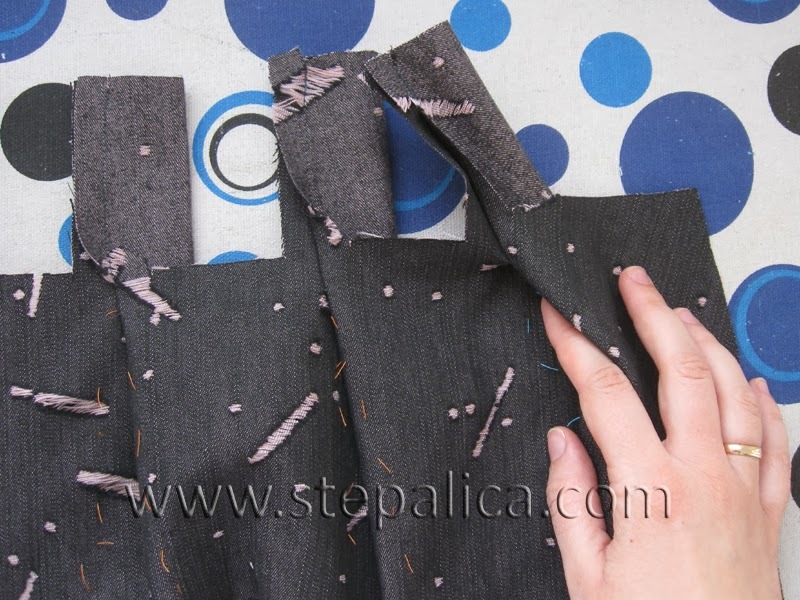 If you're making the view B, you need sew the border panels to the skirt panels first: with right sides together pin the top edge of the border panel to the bottom edge of the skirt panel. 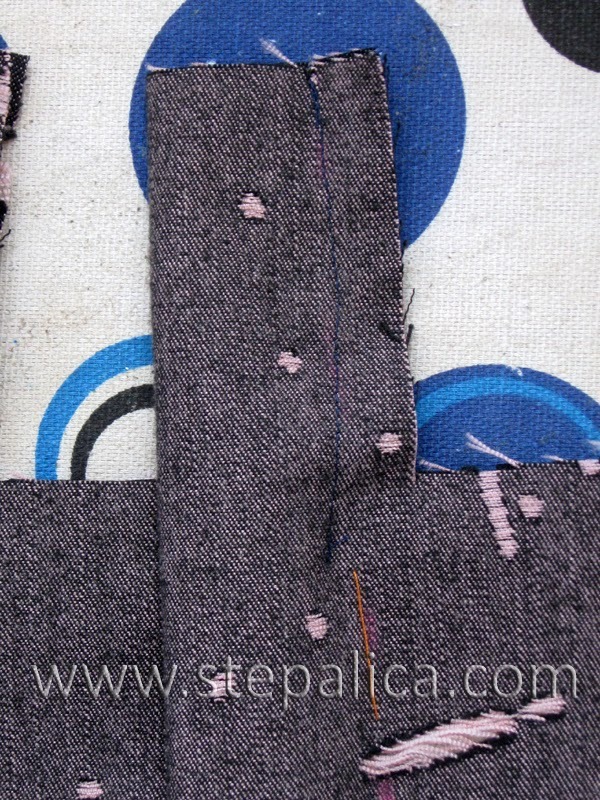 Sew the panels together and press the seams open. Let's get back to the belt loops. 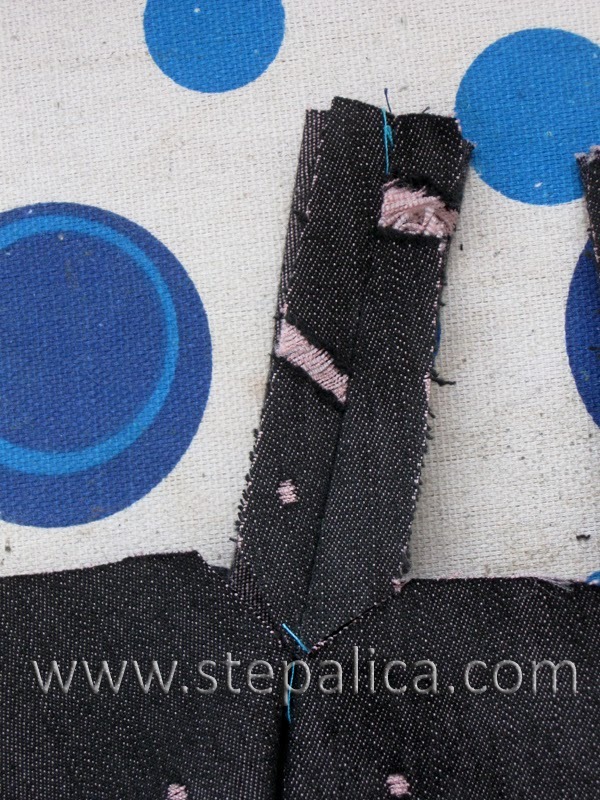 Fold the belt loop in half width-wise with right sides together. 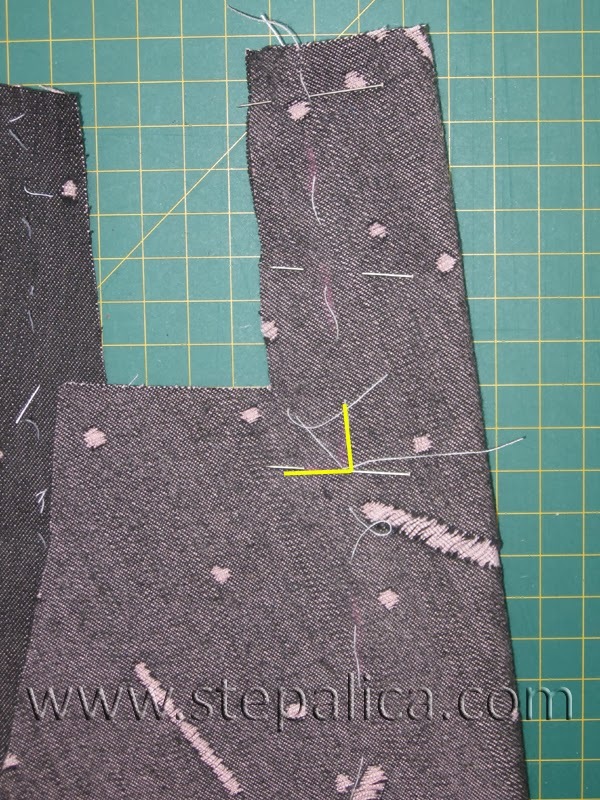 Pin the layers together and sew them together, ending the stitch at very top edge of the skirt panel (marked with yellow line). 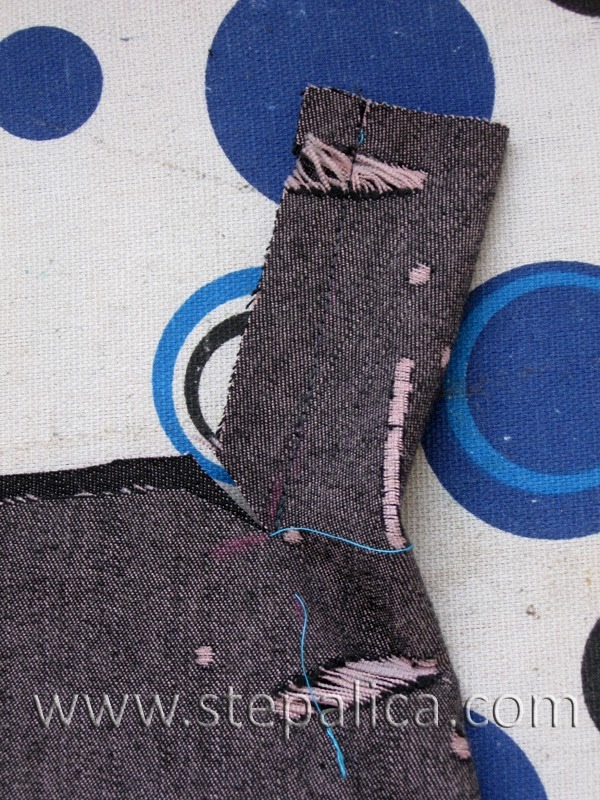 Clip the fabric by a diagonal cut from the top edge of the skit panel towards the bottom of the belt loop, stopping next to the stitch line, and making sure you don't cut the stitch itself. Flip the belt loops inside out. 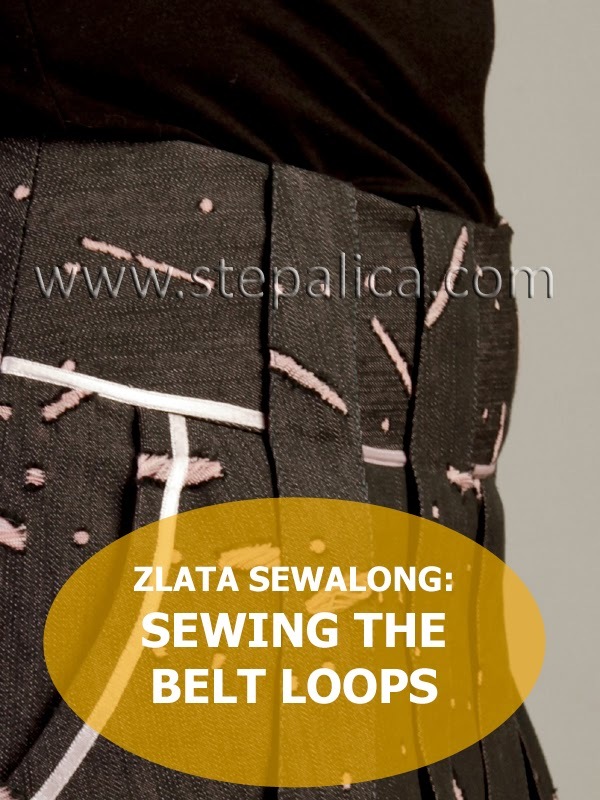 Repeat the process for all nine belt loops. Congratulations to all the ladies! Please, send me your addresses so I can send you the magazines. 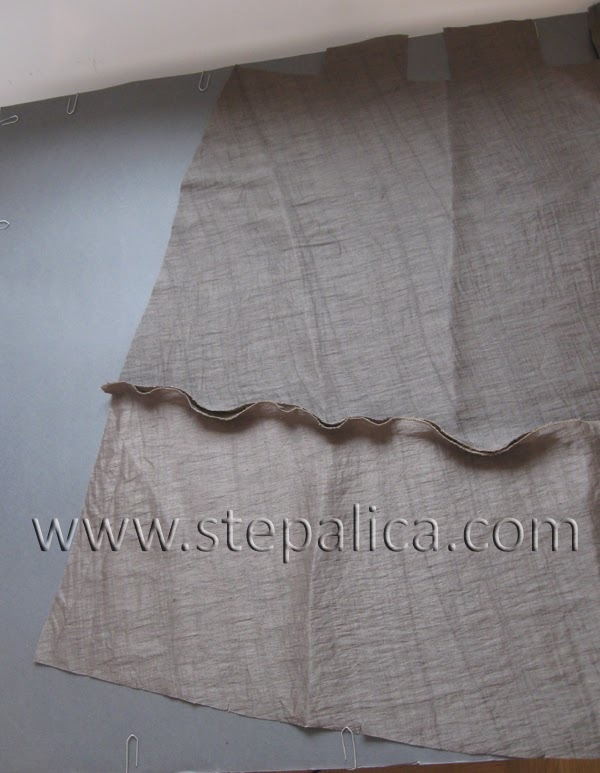 Tomorrow we'll pleat the skirt panels. There will be a lot of hand basting, so prepare yourself! Interesting tutorial! Very helpful for this step.